Not all of us have been there – but often we have absolutely tried something we bought online and been horribly disappointed. This is not to dissimilar to using an influencer you may not know much about! 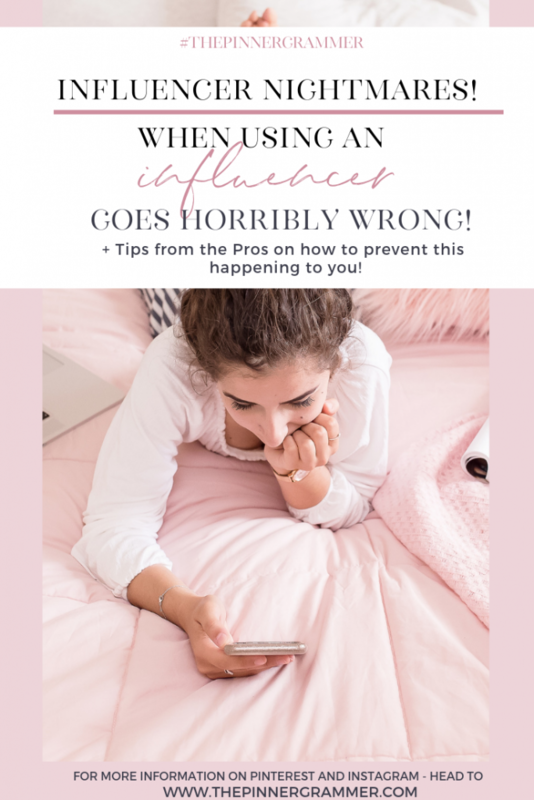 If you want to know more about influencers and if they are really worth your time or money – you can see our post on “Are Influencers really all they are cracked up to be” – the post also contains a list of things to look out for! So we put the word out and asked some well known marketing and social media businesses about their thoughts on the use of Influencers, and some of the influencer nightmare stories! Ask Influencers the Tough Questions and Get Contracts in place! James Milliron is the Founder of Inflayt Marketing., a global marketing firm specializing in SEO, PPC, and Influencer marketing. Earlier this year, we were planning the launch of a fitness app for one of our clients. In order for the launch to be successful we hosted a live event on location. Many celebrities and press were invited for the launch party. Our main influencer was an Instagram bodybuilder with over 2 million followers. He had agreed to be the lead personality at our event for a small share of the profits generated in the following 6 months. Everything was moving forward as planned, yet just two weeks before our go-live date he sent us a discouraging email. He had signed another contract with a more established fitness brand, and so he wanted to back out of our event due to conflict of interest. After some digging we found out that his contract with the other brand had been in negotiations long before we had approached him about participating in our brand launch. He was secretly using our brand as a Plan B in case his main contract didn’t go through. We considered taking legal action, but fortunately we were able to secure two other lead influencers to take his place within days after his breach. So our client let it slide. Moral of the story: always ask tough questions when dealing with influencers. Find out what other contracts they have in place. Always make sure you approach them with a contract that preserves your own interests. We have experienced many shifty influencers in the past 12 months. Influencer marketing is still the wild west. As a social media strategist who works with a number of influencers, let me give you one mistake to avoid from day one. I worked with a company who started a partnership with a large influencer. This company provided a free product and the influencer created some minimal content for the company to share. Not a completely even trade and nothing was established in a contract. A little while later, another collaboration conversation began with the same influencer. However, this time, the influencer was asking for exorbitant amounts of money. This was because the influencer dominated the initial collaboration and received “whatever they wanted” from a company that was a little “starstruck”. The mistake was not having that initial collaboration structured and defined by an actual contract. Always define the relationship the first time you work together to set precedent for future collaborations. I have sent an influencer product from one of my stores, with an advance agreement to do a post with the product on their Instagram account. Not only did she never let me know when they received the item, she never did the post or responded to any of my follow-up emails. In a past life, I worked with a national ice cream brand and an influential couple who were famous for their popular Instagram memes. The influencers, who were big fans of the brand, wanted it served at their large New York wedding. We offered to deliver product in-kind in hopes the brand would make it into their (and their famous guests’) social posts from the wedding. Unfortunately, when UPS went to deliver the frozen shipment, we realized the bride gave us the wrong address for her reception venue. In an effort to avoid having to contact the influencer/bride on her wedding day, we worked all day to try and figure out the correct address and have the ice cream (which was still on the delivery truck) rerouted. While we were assured the ice cream made it to the venue, we never saw any social posts. Sometimes offering product in-kind seems like a good way to get some organic social love for less cost, but in this case, we would have seen a better ROI if we had just entered into a paid partnership with the influential couple. How to Spot a fake influencer! Nate Masterson, the CMO of Maple Holistics, a company dedicated to cruelty-free, natural, and sustainable personal care products. 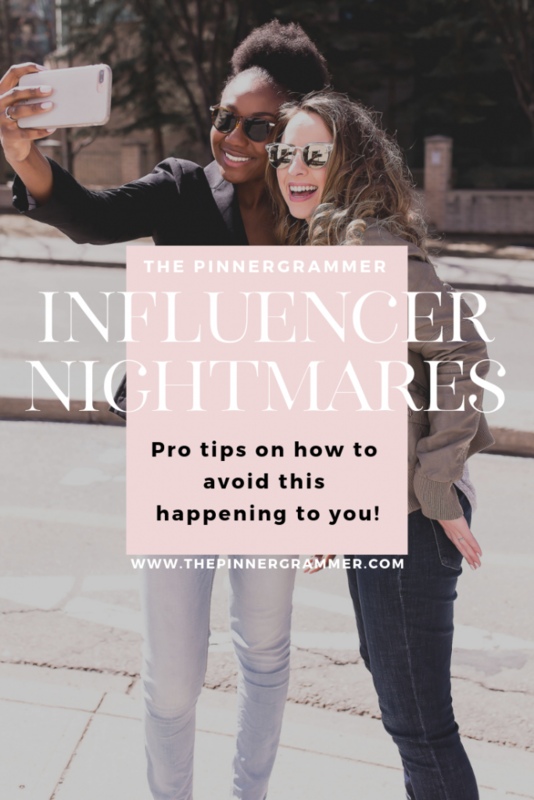 Sometimes you have to make mistakes to learn lessons and for us, that lesson was how to spot a phony influencer. Influencers are in a unique position to reach audiences that you would otherwise not reach. What if that audience is fake? If it is then you’ve flushed money down the toilet. We worked with an influencer who was using bots to inflate their numbers. We fell for it and after a couple months of no results we did some digging and found out that the audience wasn’t real. We threatened litigation and got them to refund our money. One of our worst experiences with influencer marketing happened on Instagram with “influencer” how had around 50,000 followers in a very targeted space which is a Toronto photographer. His stats claimed that he had good engagement rate, a good number of likes and an excellent follower growth rate. However, our campaign with him didn’t produce any significant results. When we tried to figure out the reason, we found out that the majority of his followers were not engaged, and that rose concerns whether these followers are real or not. Also, turns out the majority of his audience (whether real or fake) are located outside our target area (Toronto), he somehow got (or purchased) a lot of followers from outside the country. Bottom line, always check your influencer engagement rate and whether their followers are real. Check their stats and compare it with the industry’s standard. Also, make sure their followers are located in your target region. Omar Oualili, award-winning travel blogger. I had a deal with a European tour operator (which I prefer not to name) where they would provide me with accommodation and organise my visits. We agreed also to take me on a day trip to another city. In exchange, I was meant to review their service on my blog. Although they provided a great accommodation, they failed to make that day trip happen. During the day it was meant to happen, I was waiting for 2 hours for a phone call or anything like that but no news. It is a nightmare making the trip on my own as it is not easy to reach that city by public transport. I was obviously disappointed as I was looking forward to this trip. They did try to compensate for that but I was still not happy! When it came to writing a review on my blog about this company, I faced a dilemma. Everything was perfect until it got to this one and only disappointment. I don’t like to write negative things but I had to do it this time and it was challenging. I gave them the opportunity to choose between an honest review or no review at all. They tried to shift the blame to me but at the end they went for an honest review.